Cricket is an iconic sport in Australia, and the surface that the game is played on is an integral part of the experience. 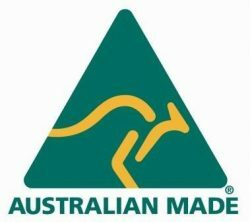 At Grass Solutions, we provide a range of synthetic grass cricket pitch and practice net solutions that enable us to enjoy a first class reputation with in the Australian cricket fraternity. Our continued research and development into artificial cricket wickets enables players of all ages and skill levels to practice and play on the best possible surfaces. If you’re looking to buy artificial grass for a cricket pitch, there’s no better time than now to contact Grass Solutions. 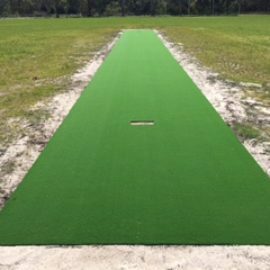 Whether you need an artificial surface for controlled practice sessions or for actual match conditions, you can rely on Grass Solutions when you need to buy artificial grass for a differing requirements of a synthetic cricket pitch. Fortunately, Grass Solutions can accommodate a wide range of needs, with artificial cricket pitches available in widths of 1.83mts, 2.8mts and 3.66mts, and in lengths of 11mts, 15mts, 22mts, 30mts and 33mts. Shield 9mm is a high-quality wicket recognised for councils, clubs and schools. If you want a synthetic cricket pitch that’s lively and enables dynamic performance, we have you covered. Over time, the surface will flatten to give a true bounce with an even pace, allowing for competitive conditions that offer assistance for both the fielding and batting sides. If you want to buy artificial grass for your school or sporting club cricket pitch, or if you wish to discuss your synthetic cricket pitch needs with an experienced specialist, get in touch with Grass Solutions today.